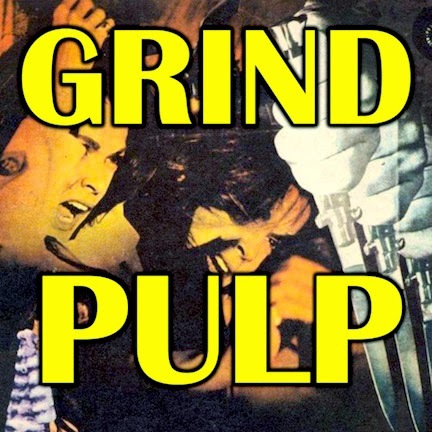 At long last Andrew Crevier squeezes a Lucio Fulci giallo film into the Grind Pulp Podcast. Does this dreamy psychedelic trip into terror have what it takes to tip the grind-pulp-o-meter? Matt, Jeronimo, and Andrew hope you’ve taken the time to check out A Lizard in a Woman’s skin before listening. You don’t want to killer reveal to be spoiled, do you? Also in the episode, a few news bits, the lowdown, and the Vajankle. The crew drinks Italian beer and J&B. Tune in to this episode’s companion, Grind Pulp Podcast 27.5, next week to find out what Jeronimo’s movie pick will be. A little help goes a long way, share the Grind Pulp Podcast with your friends.